I’m bursting with excitement about this post because it contains something that I have been waiting for all month and it is finally mine! There are a few other items I purchased in this post, but let’s jump right into the most exciting one first. I have been waiting and waiting, although usually not so patiently, for this first item to be delivered to my hands to officially become mine. Luckily, Sephora released the Urban Decay UD Gwen Stefani Eyeshadow Palette ahead of schedule for one day and I ordered it as soon as I could. It arrived before the official release date and I had a bit of a moment when unpackaging this beauty of a palette. Despite the high price on this item, it is one of those things that you know you need to find a reason to justify it after the first preview of it online. This is the first celebrity collaboration that Urban Decay has ever done, and picking Gwen Stefani was a brilliant idea. 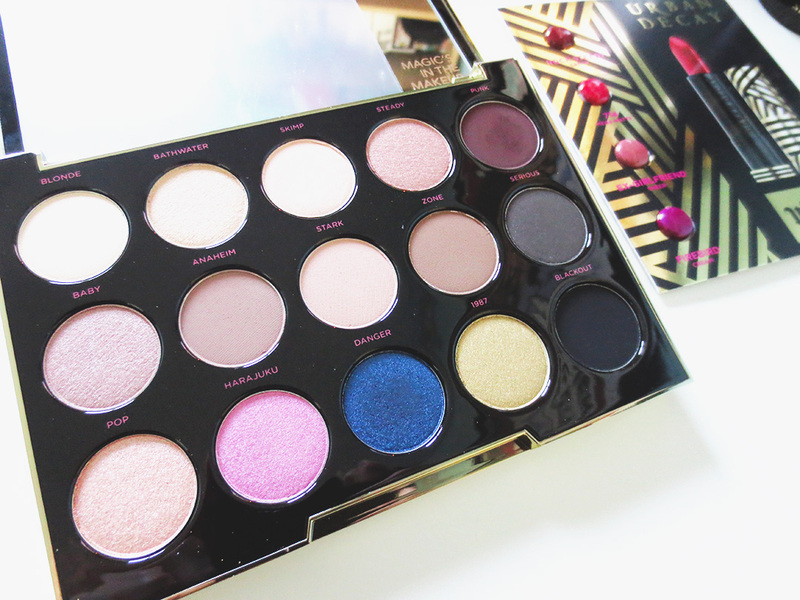 This packaging of this palette is beyond beautiful with the gold hardware and white and black graphic print. There is a bit of a magnetic closure to the case, which is always a bonus. Once you open this palette, you are graced with the sight of 15 eyeshadow shades to stare at, and eventually use. Although I have become quite the fan of matte shades as of late, this shade somehow finds a perfect balance between matte, iridescent, and a mix of sparkly and shimmery shades. Some of these shades, such as the vibrant deeper blue named Danger is actually a deep metallic royal blue with a blue micro-sparkle running through it. There are a bunch of very neutral shades to use in this palette, which make me happy, but I always love to try to dabble with new colourful shades as well. That pink, deep royal blue, bright shimmery gold, and the deep matte reddish brown are all screaming for my attention. It was a super awesome bonus to get a few samples of the yet-to-be-released lipsticks that Gwen Stefani also collaborated with the brand for as well. Onwards to other really cools things I picked up towards the end of the month include a perfume dry shampoo. We all know how I feel about dry shampoo, but adding a fragrance scent I love to a dry shampoo if definitely a new first. I brought home the Elizabeth and James Nirvana Black Dry Shampoo after a recent Sephora visit. I know the Black and White versions of this fragrance are sometimes a debate for people, with a lot of people preferring the lighter scent over the deeper and slightly more “intoxicating” version of the scent. I personally like both, but I do prefer the Black scent a bit more. This dry shampoo is the first fine fragrance dry shampoo that refreshes, volumizes, and texturizes while perfuming hair with the addictive fragrance of Nirvana Black. I remember reading somewhere that Mary-Kate and Ashley like to add perfume to their hair for added scent, so this product in their Elizabeth and James range was a no-brainer next step for them. 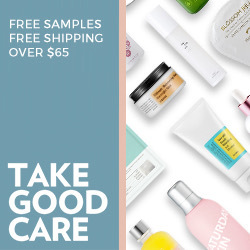 There is hardly any white residue that I have noticed so far, practically nothing appears on my hair to be honest, but it brushes out really nicely and doesn’t make your hair feel all full of product as some other dry shampoos do. Pairing this with the perfume itself, or a perfume very similar to it is a nice way to boost your scent for the day. An essential in most beauty guru’s makeup collection has also now been added to my own. The Laura Mercier Translucent Loose Setting Powder is a powder that a lot of people rely on to finish off their makeup to give them a flawless finish. I find this product to really help conceal the oils on my face throughout the day and really helps keep my makeup the way I want it looking all day long. I have not quite explored to the world of “baking” my makeup on my face quite yet with this powder, but I don’t think I will be reaching that far with my makeup application skills. I am really happy to own this powder now though and am pleased with it so far. I meant to include this last item in part 2 of this November Purchases series, but it definitely does not deserve to be skipped over by any means. 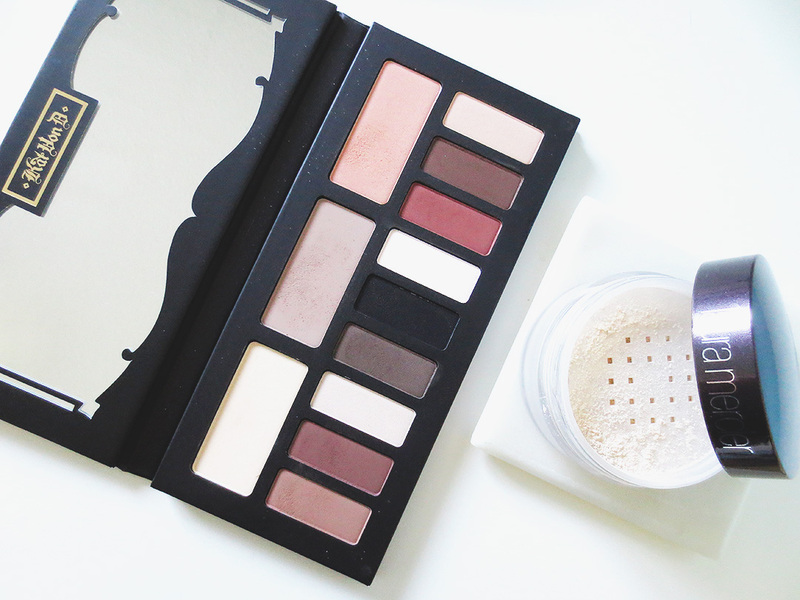 The Kat Von D Shade and Light Eyeshadow Palette is a staple item for sure. Once I bought this eyeshadow palette in all of its matte glory, I have used it almost every single day. These shades are so easy to work with and very blendable. The shade range is full of beautiful neutral colours that can help perfect any daytime and nighttime look with very natural looking colours. Now with the introduction of the UD Gwen Stefani palette, it will be a struggle to decide with eye shadows to use every morning. The beauty struggle is real. That’s all for the November purchases! I’m holding back throughout December due to the holiday season, so all of these lovely November purchases will be able to hold me over until the new year. Is there any particular beauty products you have your heart set on for the holiday season? Let me know in the comments below!